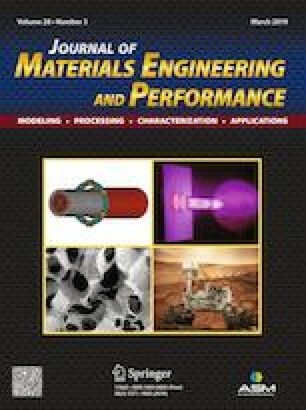 In this paper, the microstructure, microhardness, tensile behavior, and formability of ultra-high-strength DP1180 tailor-welded blanks have been proposed to exhibit the micro- and macro-features of the hardening and softening phenomena. The microstructural investigation pointed to the effects of the microscale on the hardening mechanisms, such as martensite coarsening and martensite–austenite deficiency. Finally, the microstructural difference led to the increase in hardness, a reduction in cupping height, and also the fracture mode transformation in formability test of dissimilar DP1180–DP590 tailor-welded blanks. Furthermore, the softening mechanism in similar welded structures was also discussed. This work was financially supported by Postdoctoral Science Foundation funded project of China under Grant No. 20171M611317 and the Development of Science and Technology of Jilin Province, China, under Grant No. 20180520005JH.